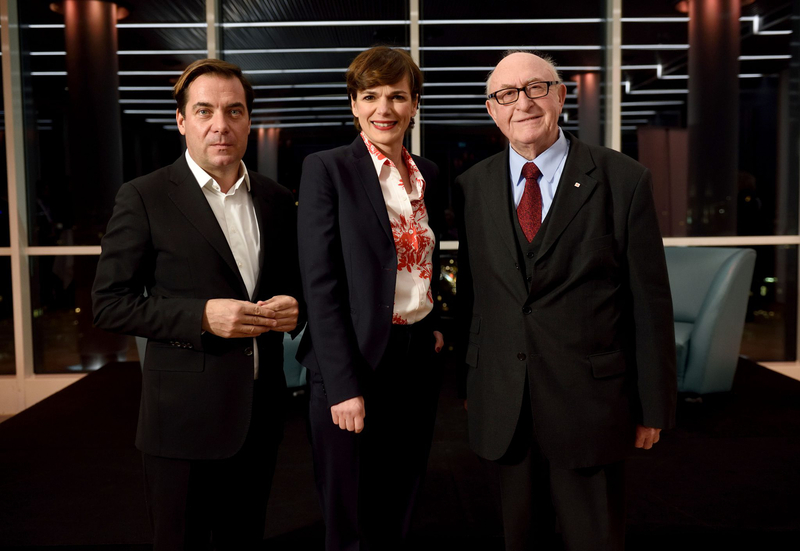 The Wiener Städtische Versicherungsverein invited Dr. Pamela Rendi-Wagner, chairwoman of SPÖ, to the first edition of ‘Gespräch im Turm’ at the Ringturm taking place in 2019. Rainer Nowak, chief editor of ‘Die Presse’, in interview with Dr. Pamela Rendi-Wagner, chairwoman of SPÖ. On Wednesday 16 January, Pamela Rendi-Wagner talked to Rainer Nowak, chief editor of ‘Die Presse’, about her career at SPÖ, property taxes and the topic of care. News coverage can be found at diepresse.com. ‘Gespräch im Turm’ is a series of discussions which is based on the cooperation between the newspaper ‘Die Presse’ and the Wiener Städtische Versicherungsverein, the main shareholder of the Vienna Insurance Group (VIG). It takes place at the Ringturm on a regular basis.